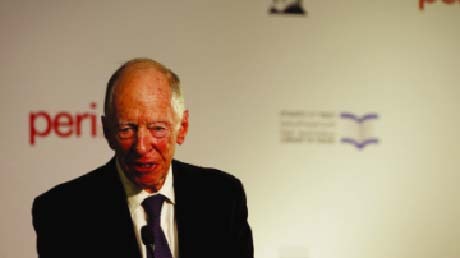 Russia Today: Jacob Rothschild has voiced concern about the global financial system that was established after WWII. The billionaire banker points to the US-China trade war and eurozone crisis as the key problems putting economic order at risk. “In 9/11 and in the 2008 financial crisis, the powers of the world worked together with a common approach. Co-operation today is proving much more difficult. This puts at risk the post-war economic and security order,” Rothschild warned in his investment trust’s half-year results commentary. In economics, the post-war order is usually refers to a monetary management system which led to a rise of the US dollar as a dominant currency.